Simon chose to study Occupational Therapy after volunteering at an orphanage in Cambodia, that was dedicated to assisting young adults with lost limbs. Simon worked alongside an Occupational Therapist at the orphanage for 3 months, assisting with activities of daily living, aide and equipment modification and work readiness. This experience made Simon want to study Occupational Therapy upon his return to Australia. "This experience helped me appreciate the importance and significance of human occupation, and it was refreshing to have finally established a direction that I was passionate about." Looking back at his time in the course, Simon believes that the placement opportunities provided, gave him a very well rounded OT experience, and assisted the direction of his career path. His placements ranged from a Community Health placement in rural WA, a Forensic Hospital placement and some rehabilitation placements at a number of well renowned hospitals. "Getting a taste of the real world as an OT and putting some of the theory in to practice, was something that excited me." Simon also reflects on the case based learning tutorials, and remembers them being a fun and practical way to learn, as well as remembering the passionate OT staff, who "genuinely cared about the future of the profession and its students." Studying OT is directly responsible for where Simon finds himself today. "Whilst I am not practicing in the traditional OT sense, the knowledge that the course has provided me with has opened up the opportunity to have my own business in a field that I’m passionate about." Simon currently has his own Ergonomic equipment business "Backcare & Seating". "My background is in Occupational rehabilitation and Equipment design, and I liked the idea of combining this passion with an entrepreneurial approach to business." Simon’s core business is responding to OT referrals in the field, and assisting in the Optimal Design of various new workplaces (Office, Schools, Hospitals etc.). "The synergy between equipment provider and being an OT enables me to make informed credible decisions, as to what is responsibly referred in the industry." Simon views the Occupational Therapy degree as a lot more than a ticket to practice as an Occupational Therapist. "In my opinion, OT provides you with a way of thinking, which is important to the way the world works. Our thoughtful and Holistic approach is the key in enhancing performance across a variety of occupations. It also provides us with the opportunity to truly contribute to the greater good and improve people’s lives." Having completed her graduate degree in 2016, Kate now works as a paediatric occupational therapist with the Department of Education and Training Victoria and in private practice. Stephen Elliott decided that he wanted to be an Occupational Therapist after completing 1.5 years of a Science degree. 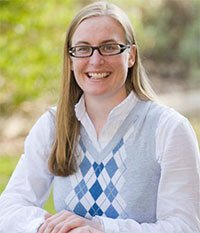 "I had developed a keen interest in biological science and psychology. However, I developed an inexplicable feeling that I was meant to be doing ‘something else' with my life." Stephen says he felt himself being drawn towards the healthcare industry and in particular OT. 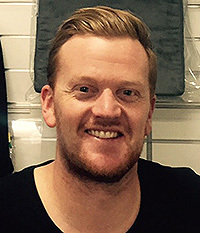 Stephen entered the Bachelor of Occupational Therapy degree in 2007 and completed the degree with honours in 2010. "I was very much attracted to the professions ethos of helping people of all ages with disability/injury/illness to develop increased independence and, in doing so, promote wellbeing." says Stephen. Stephen then found work experience with a paediatric Occupational Therapist to ensure this was the profession he wanted. 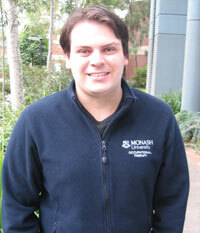 "Needless to say I loved it and transferred to Occupational Therapy at Monash Peninsula" says Stephen. Stephen looks back upon his studies in the Bachelor of Occupational Therapy with great fondness. "I thoroughly enjoyed the course content and also met many lifelong friends. The Occupational Therapy staff are knowledgeable, approachable and friendly people. Stephen completed fieldwork placements in hand therapy, adolescent/youth mental health, paediatric early intervention, community health, and a sub-acute/acute hospital and completed a 3 week student fieldwork placement at Launceston General Hospital in Tasmania. Stephens's current role involves providing clients with vocational counselling, advice regarding optimal management of client health related concerns, liaising with community-based healthcare professionals, assessing / evaluating client functional capacity and workplace environments. Aislinn is now the Occupational Therapist in the Acute Aged Mental Health Unit at Frankston Hospital. She sees patients aged over 65 who experience various mental health issues including depression, situational crises related to suicide attempts, schizophrenia, anxiety, and patients with dementia complicated by either behavioural or psychotic symptoms. “OTs in the Peninsula Health mental health network get together regularly for meetings where reflective practice is encouraged. It enables me to gain advice and debrief. I also share an office with a very experienced social worker. It’s a great allied health team here and we work well together." Authorised by: Chief Marketing Officer, Strategic Marketing and Communications. Maintained by: FMNHS Webmaster Team. Last updated: Apr 2018.